Technology and urbanity have a long and tempestuous relationship, with the former’s advancement over the past century having had an occasionally deleterious effect on the latter. This has been most evident when periods of previously unimaginable progress have yielded inventions like the automobile, which in turn led to the temporary collapse of many inner cities. Now, as online retail continues to outpace brick and mortar shopping, technology has once again laid siege to the fabric of New York City, threatening the time-honored local bodega, and potentially undermining a segment of local retail that has value far beyond its shelves. While Jane Jacobs had many terrible ideas, some of which have resulted in places like the West Village evolving into the equivalent of an Onion Article, one of her most valuable and substantial contributions was advocacy of the importance of “eyes on the street,” a function of a healthy neighborhood retail scene. With storefronts and their occupants keeping vigilant over an area, criminal activity is deterred, while the pedestrian experience is substantially improved. The concept is not difficult to understand. In this regard, the local bodega is perhaps one of the most valuable assets New York City real estate has to offer. Besides the aspect of convenience that the neighborhood stores provide, many are also open 24 hours a day (or close to it), providing a spot for local characters to congregate alongside store owners and shop workers. The sum of this activity plays an immeasurable role in ensuring that peripheral neighborhoods generally lacking in retail still have spots that light up the nighttime streets, and eyes to watch them. Here, it is important to make a distinction between the criticism of a specific idea and attacks on the technology sector in general, which are counter-productive and only serve to create animosity on both sides. The problem with automating bodegas has nothing to do with the actual vending machine-esque service in and of itself, which — made obvious by its description — is a simple re-hashing of an existing idea. The issue lies in the unquantifiable gap in quality of living that is likely to result if bodegas do begin to close en-masse. 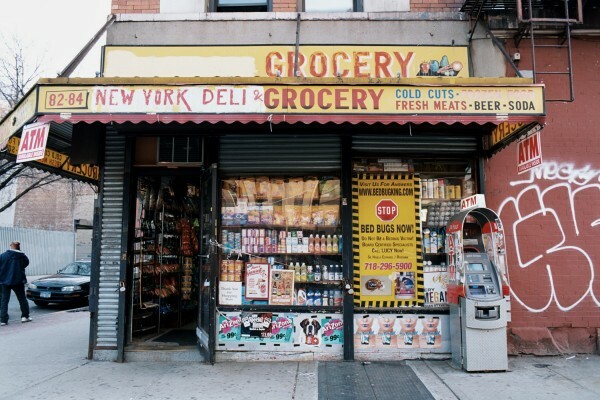 Providing cheaper access to goods is certainly a noble idea, but when many peripheral neighborhoods depend on bodegas for both basic needs, and public safety, their benefits become substantially more obvious. The amount of taxpayer dollars saved by the NYPD thanks to bodegas is likely immeasurable, and in turn, this also improves the value of real estate in surrounding blocks. Though exact numbers are impossible to quantify, the social value of these specific mom & pop retail stores is vastly greater than the material goods within. While it is impossible to forcibly legislate which businesses ultimately occupy retail storefronts, the arguments over the future of the bodega show that the reaction to a poorly-conceived start-up idea largely misses some of the reasons they may have a chance at success, and these are largely the fault of zoning. Most importantly, it is actually impossible to build new retail space at all along most streets in many of New York City’s most famous neighborhoods, ranging from St. Marks to the Upper West Side, and when critics complain of food deserts, it is usually City Hall that should be blamed. New York City will always continue to change, adapt, and hopefully, grow. But going about this growth in the right manner is what has typically separated New York from its less-successful counterparts across the rest of the continent (i.e., every single other city), which is probably why “Brodega” is doomed from the start. New Yorkers may not know the ins and outs of why retail can no longer be built on the vast majority of side-streets in the city, but partially thanks to Jane Jacobs, they do understand the value of eyes on the street, and the importance of local spaces for socializing, both of which are crucial and immensely beneficial niches that bodegas fill. Instead of focusing on why “Brodega” is a terrible idea, there needs to be comprehensive reform of where retail can and cannot be built, or the likelihood that bodegas and the rest of the five boroughs’ mom & pop retail scene go the way of the dinosaurs is going to increase substantially. 23 Comments on "Why Bodegas Are Crucial To The Continued Success of New York City Real Estate"
Maybe New York City thinking to Stone Age. Very interesting article but I think the real threat is the new Deli’s popping up everywhere. It seems like the new leases are going to the Deli’s owners or workers? They are replacing the Bodegas of old. 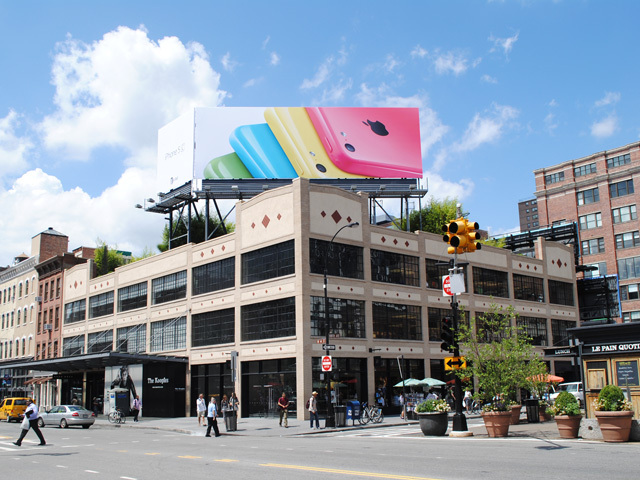 Why is The Apple Store representative of terrible retail planning by New York City? B/c it offers no “eyes on the street” after hours, etc. I agree that commercial districts should be expanded to more side streets and non-commercial avenues. And I feel like most New Yorkers prefer these kinds of neighborhoods anyway (I know I do). But how do you actually make it happen. I can’t see any neighborhoods pushing for more commercial on residential blocks. It’s almost seems un-American. They may prefer to spend some time in a neighborhood like this, but to make an actual change to what almost seems like the god-given character of an actual street seems like a big stretch. Strict separation of zoning uses is so ingrained here. Any ideas how to bring New Yorkers around to this new (old) kind of thinking? I think most residential neighborhoods would fight it. The author is right that it is zoning that prohibits retail on “most streets in many neighborhoods,” but his clearly intended intimation that this is a bad thing and responsible for creating “food deserts” is just plain wrong, reflecting a profound lack of knowledge about zoning and the way neighborhoods are structured. The author doesn’t tell us – if he even knows – that commercial zoning already covers every avenue and wide street, generally to a depth of 100 feet and sometimes even 150 or 200 feet, and that the only streets on which retail is prohibited are the narrow side streets between where the commercial zoning on the avenues stops. Purposely and for good reasons. Commercial businesses require truck deliveries and generate greater amounts of trash, which must be picked up daily. They also attract and generate greater amounts of foot traffic, not to mention noise and dirt. And let’s not forget about signage – glowing, glaring and (illegally) flashing ’round the clock. Is the author really trying to tell us that this should be allowed on every linear foot of every side street, even the ones in the “famous” neighborhoods lined with often historic brownstones and rowhouses? That there should be no residential only areas in a neighborhood? What would happen to the NYC institution of people quietly sitting on their stoops in the cool of an evening? A quiet night’s sleep? In addition to creating quiet residential oases between the bustling avenues and wide cross streets, there are other good, practical reasons to prohibit commercial uses from side streets: their inability to handle the level of foot and vehicular traffic required and generated by commercial businesses being just one. In any case, it’s not the lack of commercial zoning on residential side streets that threatens the city’s mom and pop stores. Every avenue and major cross street is zoned to allow commercial uses, which generally extends for 100 feet along the side streets. There’s plenty of commercial zoning in every neighborhood (except maybe in certain far reaches of the outer boroughs). No, it’s not the lack of commercial zoning that threatens small businesses; it’s out of control rising commercial rents. Pure and simple. The author’s notion that if only all the residential side streets were zoned for commercial uses, small mom and pop stores would thrive and prosper is myopic and misguided and can’t be taken seriously. I see your point about ‘eyes on the street’ but using Bodegas is a bad example. Most Bodegas are crowded and dirty with expired food items. They for the most part haven’t discovered air-conditioning yet. There’s a good reason why retail was eliminated from most side streets in the 1961 zonings. It’s a bad mix. People want some quiet on their blocks even in the city. And in today’s retail environment all we’d end up with is more empty storefronts. The 1961 zoning grandfathered in the ‘corner store’ but that’s an exception. I don’t know what bodegas you are referencing. That sounds like the very old stores from years ago.Todays bodegas have really stepped up. They also have some fruits and vegetqables that they did not have years ago. The Dept. of Health has put a tremendous effort into this. It’s difficult to purchase non perishables in great quantities because of the cost. I certainly agree that they serve as the eyes of the community and are very necessary. Further I know of no bodega without air conditioning. A real Native New Yorker. Jane Jacobs “had many terrible ideas?!? Care to elaborate? I don’t buy it. When I go to other cities that don’t have bodegas the cities seem to work just fine. Let alone look much better without outdated signs everywhere. And bodegas keeping neighborhoods safe? Really? Not that they make neighborhoods more dangerous, but having the cheapest and usually unhealthiest food isn’t exactly bringing in the most affluent customers. Honestly NYC needs some good chains that keep up with cleaning and modern brands like WAWA does in the Philly area. Even 711’s blow away most bodegas. It’s a real stretch to consider bodegas as encouraging community watchdogs. There are many examples of just the opposite; bodegas attracting congregating gang members that use the retail frontage as a turf office. This may or may not be a result of lapsed and lax stop-and-frisk policies, but there is no reason to assume bodegas contribute significantly to quality of life improvements in their respective neighborhoods. The history of bodegas is primarily an immigrant story, and that is the essential benefit of the business model. The bodega served as a Latino gateway entrepreneurial endeavor that promoted assimilation and the promise of upward mobility. The bodega is the food service equivalent of the .99-cent store, functioning as a purveyor of cheap, but inferior calories. If the marketplace in low-income neighborhoods can support replacing “mom and pop” retailers that only cater to the lowest common denominator with an improved nutritional selections, I don’t see how the community could object. In fact this immigration process has continued to evolve with the “deli” model, now encroaching on the bodega style retailer. Dominated by Yemini emigrants, the deli typically tends to present itself to skeptical landlords an “organic” grocery. Some delis are in fact more upscale, but those competing in poorer areas are usually relegated to “smoke shop” or snack/candy store status, but there is an overall trend to improve inventory in crossover neighborhoods. Similarly the Korean green grocer transformed the retail landscape in underserved areas of the outer boroughs, and created prosperous affluence for family businesses that were willing to risk very limited capital in exchange for cheap rent. I would assume bodegas will go the way of the local soda fountain, and egg cream purveyors, as a graduating immigrant class that invented a survival technique moves on to bigger and better things. These are good points. I think the key behind my post is that eyes on the street are critical, especially in locations where bodegas typically proliferate (in the absence of other retail). Whether Korean Green grocer or otherwise, automated vending machines are not an adequate replacement — but something else eventually might be! Everybody is buying security cameras now. Shops, homes, etc. Maybe that’s what the ‘eyes on the street’ of the future will be. I have lived in NYC for 59 years from the Village to the UES, with a short stop in an outer borough. What most of you above yearn for is the preamble to Blade Runner. A Hamster Habitat where worker drones walk a few blocks with their faces buried one their phones, get in their driver-less uber cars to visit a friend who has picked up his chips and dip from the VendoMart. Soon you’ll be advocating a solution to high rents ; shortage of vacancies that includes breaking up studio apartments into padded cells with Japanese0micro hotel style capsule beds and no kitchens, just Vendomart on every corner if not on your floor. Hope I can get out of NYC / or won’t live to see it. Maybe not padded capsules but some have proposed legalizing basement and even cellar apartments. Tons of legal, zoning and fire safety issues. Bad idea. I think NYC has reached it’s maximum sustainable population density. Isn’t this like the fox writing about how awful it is that hen houses are disappearing?